“Wow. There are a lot of Buddhists in the world besides Dad,” my fourteen-year-old daughter Bella said breathlessly. Our California family stood at the gateway to the Maha Bodhi Temple Complex in Bodh Gaya, India, on our first family trip outside the U.S. My two daughters had been raised in a Buddhist Jewish household in Northern California. 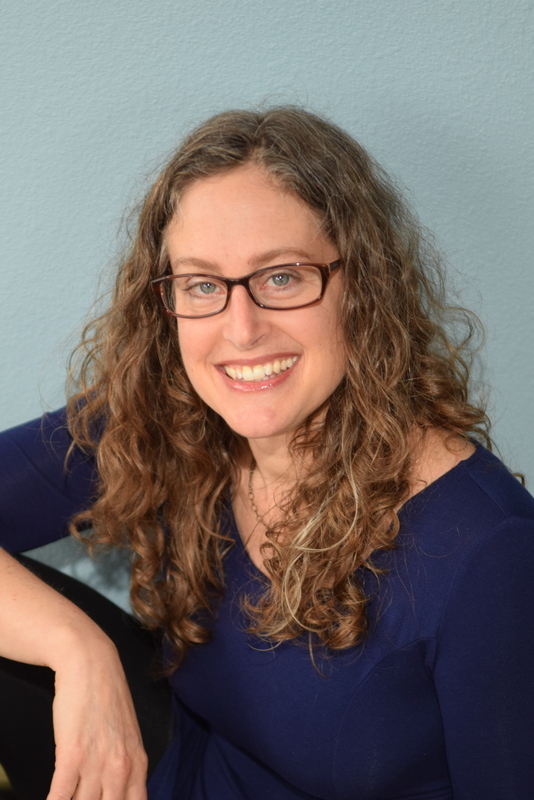 My husband Adam and I had made an effort to give them Buddhist teachings as tools to work with their minds and the challenges of life and Judaism as a cultural/ancestral heritage. But I wanted our family’s Buddhist connection to be concrete, something we could be placed in, instead of just in the realm of ideas. We chose to come here, to the park, monuments, and temple that stand on the very spot where the Buddha attained enlightenment 2,500 years ago. On our journey to connect our family to the sacred places of Buddhism, we started at the tree where the Buddha sat. Around the ornately carved 180-foot tower of the Maha Bodhi Temple, under stately peepul trees and stone markers decorated with thousands of yellow and orange marigold blossoms, pilgrims walked, bowed, sat in meditation, and prayed. From our vantage point, we saw what looked like a rainbow of peoples – the monks, nuns, and busloads of tourists were a glorious mix of Indian, Tibetan, Korean, Chinese, Nepali, Thai, Bhutanese, Sri Lankan, Taiwanese, Vietnamese, and Caucasian. We descended the steps and joined the sea of pilgrims, immersing ourselves in the collective aura of reverence and contentment. We circled the tower and then rested beside the arching tree draped in flower garlands and marked with a plaque that read “Prince Siddhartha attained Buddhahood in the year 523 B.C. on the Vashaika Full Moon sitting under this Peepul (Bodhi) tree.” We stayed there until dark, when the crowds thinned and veils of mist rose to surround the moonlit monuments. Buddhist sacred sites in India are international hubs, which makes sense because it would be hard to argue that Buddhism “belongs” to India. Less than one percent of Indians are Buddhist, while seventy percent of people in countries such as Sri Lanka, Japan, and Bhutan are Buddhist. 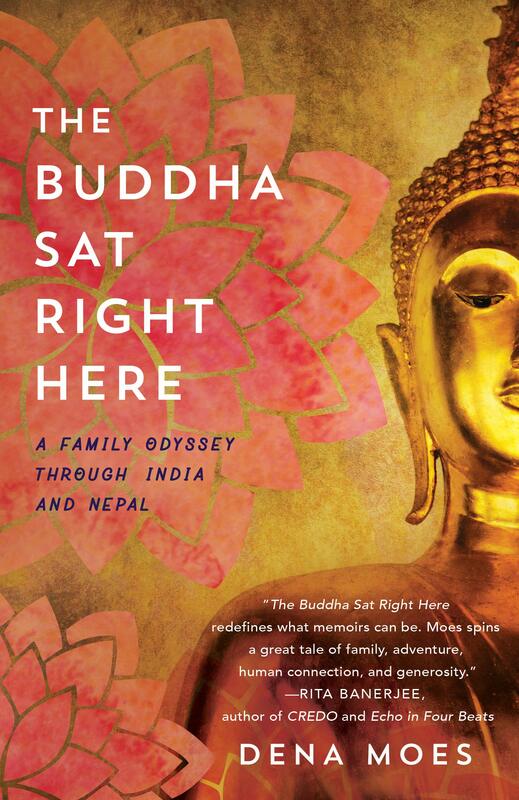 Prince Siddhartha was born in Lumbini, Nepal, which was the ancestral home of his mother. His father’s palace was in India, and it was in India that he left the worldly life to wander the forest seeking true and lasting liberation from suffering. Outside of Gaya, in the Indian state of Bihar, he sat under a tree until he awakened to full enlightenment and became the Buddha. Buddhism flowered in India for hundreds of years and spread across Southeast Asia and along the Silk Road into China and the rest of Asia. Then Buddhism fell into decline in India and disappeared completely by the 12th century, when invading Islamic Mughals closed monasteries and destroyed Buddhist monuments and sites across North India. When the Mughals chopped down the Buddha’s Bodhi Tree, Sri Lankan monks took a cutting home and kept it alive until it could be replanted in the original spot. Although it disappeared in India, Buddhism thrived in its Asian diaspora, becoming a world religion of over 400 million practitioners. Buddhism is a religion for some and a philosophy, with the intention of cultivating peace, for others. Wherever it has gone, it has been dressed up in the accoutrements of that culture. Buddhism took on a deeply Taoist flavor in China, for example, and in Tibet the wrathful indigenous gods became tantric embodiments of wisdom and compassion in union. In Japan, Zen Buddhism developed with many Shinto qualities. Most recently, Buddhism has come to America, and scholars think that the specific character of American Buddhism is yet to be determined. It has arrived on American soil in all its manifold forms — Thai, Chinese, Zen, Tibetan. White Americans have been learning and practicing within these established lineages, while also developing a particularly American style of business-friendly, corporate-ready “mindfulness” practice. With the current increase in violence, racism, and quasi-fascism in our “land of the free,” the Buddhist path of cultivating love and compassion is more relevant than ever. When I found the teachings of the Buddha in my early twenties, I knew I had come upon something true and authentic. Where has this been all my life? I wondered. Why am I only finding this now? I am a white, educated, middle class woman living in a time when I have unprecedented access to wisdom traditions from around the world. I recognize that this is a position of great privilege. I also grew up Reform Jewish, with the horrifying knowledge of the Holocaust drummed into me throughout my childhood at Sunday School and at Jewish sleep-away camp. My grandfather was put on a boat out of Poland as a child, to escape the frequent pillaging and looting of the Jewish ghetto where he lived. The narrative of displacement and oppression runs through the history of my people, who were without a homeland for two thousand years. There is a whole tribe like me – people who are culturally, ancestrally Jewish, while also practicing Buddhism. They include many prominent American Buddhist leaders, thinkers, and writers, such as Lama Surya Das, Jack Kornfield, Natalie Goldberg, and Allen Ginsberg. We have a somewhat irreverent name for ourselves — JuBus. Like the exiled Jews of yesteryear, Tibetan Buddhists have been forced to leave their home and live in exile in order to preserve their way of life. Communist China invaded sovereign Tibet in 1949 and has systematically eroded Tibetan Buddhist culture by destroying monasteries and religious centers, imprisoning religious leaders, and banning Tibetan language and arts. They have moved masses of Han Chinese to Tibet, making ethnic Tibetans the minority in their own homeland. The leader of Tibetan Buddhism, His Holiness the Dalai Lama, fled Tibet in 1959, undertaking a dangerous winter Himalayan crossing on horseback. He survived and has lived in exile in Dharamsala, India ever since. Which brings us back to India. India, blessed India, has opened its borders to Tibetan refugees, given Tibetans land to rebuild monasteries and temples demolished in Tibet, and provided the Dalai Lama with a home for himself and a Tibetan government-in-exile. Over 100,000 Tibetans have crossed the Himalayas into India as refugees over the last fifty years. With 1.3 billion people, India is already overcrowded, yet there is always room for one more. In a beautiful, energetic exchange, the Tibetans have contributed to the growing resurgence of Buddhism in India. The ancient holy sites of Buddhism have been rebuilt, renovated, and opened for tourists. Buddhist centers have sprung up to welcome Buddhist pilgrims from across the world. My family visited the Maha Bodhi Temple Complex daily for the two weeks we were in Bodh Gaya. I worried that our daughters Bella and Sophia would find it boring and complain that there was nothing for them to do. There was no place to play or swim, which is what we usually did on family trips. But they each found their own ways to make their time meaningful. Ten-year-old Sophia sat on top of a stone ledge, watching the activities of the pilgrims and drawing in her journal. Fourteen-year-old Bella befriended a group of preteen Indian monks, who sat in a circle with her on the grass, meditating and sharing stories of the Buddha’s life and then asking her about America. She also received her first meditation instructions from a wandering Tibetan yogi. Adam did the pujas and prayers given to him by Buddhist masters during his first visit to India, twenty years ago. As for me, I used the time to search deep within myself, gaining fresh insights into the spiritual path I had stepped onto eighteen years before. The collective devotion of visitors to the sacred site carried us, lifted us up, and inspired us to be kinder, slower, and more peaceful. We called the park the Disneyland of Dharma. We ate dinner each night at the Tibet Om Cafe, a restaurant located in a Tibetan refugee housing complex near the park. Over bowls of thick noodle soup called thentuk and platters of Tibetan momos, or dumplings, we conversed with an international circle of friends — a Bhutanese dancer, a British monk, a Chinese filmmaker, a Swedish Lama, and of course, Tibetans. Walking back to our guest house in the winter fog, we saw Tibetans coming home from their day, selling prayer beads from pushcarts or spinning hand-held prayer wheels and chanting mantras as they walked. Maroon-robed monks passed by, offering friendly smiles. We returned from our Indian sojourn four years ago, and it is clear that our pilgrimage has served as an anchor, a grounding of our lives as American Buddhists. Each of the girls became an emissary of Buddhism in her mostly Christian school communities – offering presentations, educating others about the Tibetan cause, and clearing up the many misconceptions their peers had about Buddhism. Sophia has used the teachings on compassion and forgiveness very directly, to navigate social difficulties through middle school and now in high school. Bella sat a ten-day Vipassana meditation course with her father just before she left for college. She is studying world sociology, with an eye to global social justice. Adam continues his Buddhist practice and teaches as the local Dharma center. “Good. Great. Incredible.” I answered, feeling that those responses were beyond inadequate. I cannot possibly answer that question without writing a book, I joked with myself. I pulled out my travel journal and Bella’s diary, joined a writing group, and began writing. Anais Nin said, “We write to taste life twice, in the moment and in retrospect.” My writing took on a life of its own and became a process through which I understood deeper and deeper levels of what we experienced in India. There is a healing that must take place in the minds and hearts of humanity, and I contend that a spiritual life is a part of that healing. We took our children to India to sit on the spot where the Buddha sat, to pray in the caves where great masters did retreat, and to read The Heart Sutra on Vulture Peak Mountain, where the Buddha spoke it. We went to Dharamsala, home of the Dalai Lama, to immerse ourselves in the cultural and spiritual life of Tibetan Buddhists. We lived, for a precious eight months, where spirituality is a family affair. And I write with the hope that my words will benefit beings and inspire them in whatever way they need.